Contact us – Click Here! 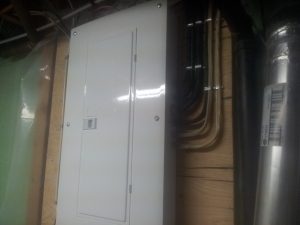 The electrical panel is the heart of your home’s electrical system. Its function, along with the circuit breakers, is to protect you, your home and appliances. 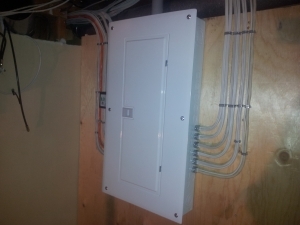 As an electrical panel ages the level of protection diminishes. Panel Upgrade Experts offers innovative and durable safety increasing solutions for the homeowners of Calgary and surrounding area. Our expert technicians provide dedicated services that includes installation of properly sized electrical panels, installation of high quality protective devices, proper grounding and bonding of metal pipe work and bringing installation up to current code. Panel Upgrade Experts gives homeowners the opportunity to choose our specialty products and service that exceed the modern electrical code and provide a significant increase in safety. 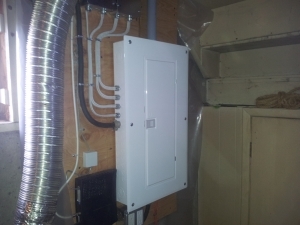 Whether you need a larger electrical panel for future expansion or you need to replace a 60 amp panel with a new 100 amp panel, we are here to help. Panel Upgrade Experts panel changes can be completed within one working day, this means you will have power back on the same day. We combine high-quality materials along with expert electricians striving to provide only the best service to our customers. Our work ethic is second to none and many of our customers are friends and neighbors of past clients. 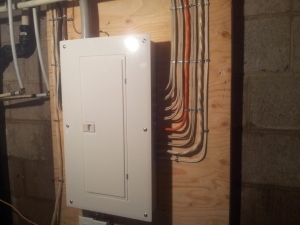 We take pride in completing an electrical installation that not only looks great but will last a lifetime. We understand it can be a daunting task hiring a contractor to come into your family home. Are you getting work with the quality you expect? This is why we regularly update our site with work we have recently completed. If you have any questions you can give us a call to talk things over before making a commitment. Our technical staff will evaluate your current electrical panel and review your planned electrical requirements to provide a detailed estimate of upgrading your panel completely free of charge. 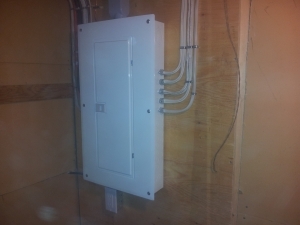 Our qualified and experienced technicians will proceed with the installation of your electrical panel professionally and on the estimated installation time. All of our electrical panels and breakers come with a 10 year manufacturer warranty. Our staff will arrange and book the most suitable times for your inspection. Our staff will contact you after installation and provide technical support as needed. We will also contact you the morning of the final inspection with the predicted arrival time of your inspector to ensure you the least amount of hassle.